Two women were injured, one seriously, in a rollover crash Thursday night on Route 78 in San Marcos. 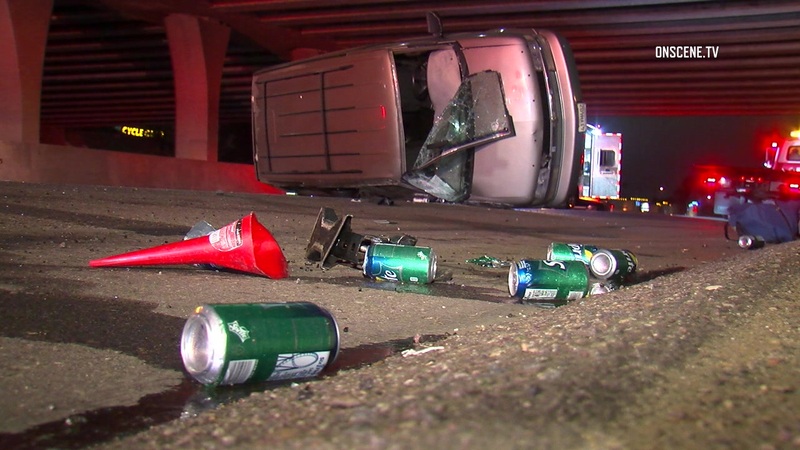 The San Marcos Fire Department responded at 11:30 p.m. to the crash under the Nordahl Road overpass and found a van overturned in the eastbound slow lane. Both of the victims were transported to Palomar Medical Center in Escondido. The right two lanes were shut down as crews worked to clear the scene. It was unknown if drugs or alcohol were a factor in the collision.